On December 15, 1847, a petition was submitted to create Gillespie County. In 1848, the Texas Legislature formed Gillespie County from Bexar and Travis counties. While the signers were overwhelmingly German immigrants, names also on the petition were Castillo, Peña, Muños, and a handful of non-German Anglo names. Its oldest building is a combination general store and saloon reputedly opened in 1849 (1886 is more likely based on land improvement records of the Texas State Library and Archives Commission) by Minna Engel, whose father was an itinerant minister from Germany. The community, first named Grape Creek, was later named after Minna's husband, Carl Albert Luckenbach, who was then her fiancé. They would later move to another town which became Albert, Texas. Luckenbach was first established as a community trading post and was one of the few that never broke a peace treaty with the Comanche Indians, with whom they traded. Citizens of the town claimed one of them (Jacob Brodbeck) had launched the first airplane years before the Wright Brothers. 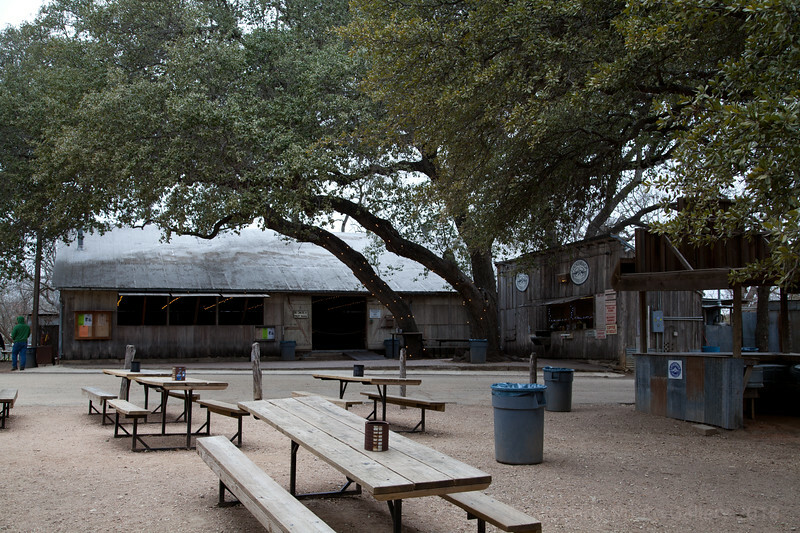 Its population increased to a high of 492 in 1904, but by the 1960s, Luckenbach was almost a ghost town. An ad in the paper offering "town — pop. 3 — for sale" led Hondo Crouch, rancher and Texas folklorist, to buy Luckenbach for $30,000 in 1970, in partnership with Kathy Morgan and actor Guich Koock. Crouch used the town's rights as a municipality to govern the dance hall as he saw fit.